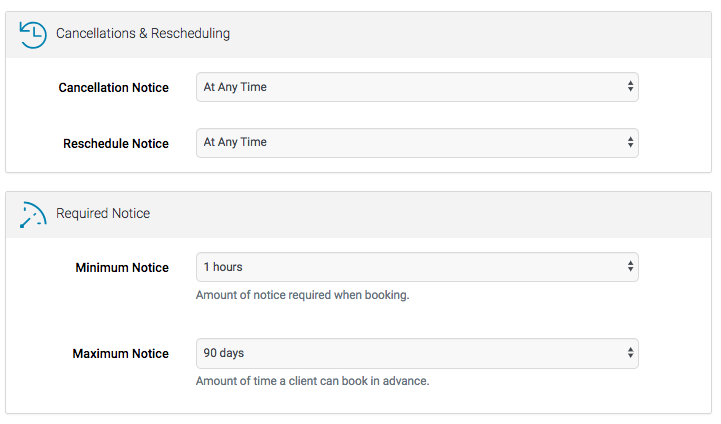 Appointlet empowers you to manage your booking policies around cancellations, reschedules, and notices. These policies are set on the Meeting Type level. Cancellations & Rescheduling: These are your policies on how near to a booking your customer may cancel or reschedule. Required Notice: These are your policies about how soon and how far out your customer can book with you.